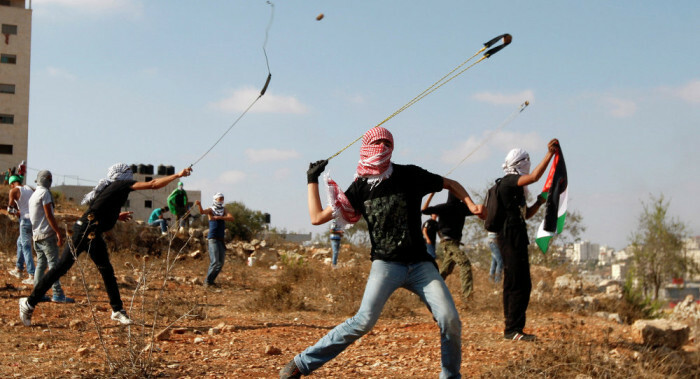 The Third Intifada, now underway whatever older Palestinian leaders — let alone people from Israel or any other country — might advise. By calling on Israeli Jewish citizens to openly carry arms, Israeli Prime Minister Benjamin Netanyahu is giving them license to shoot at will and execute Palestinians on the spot, proves that the Israeli government is transforming its own public into vigilantes and gangsters following the official Israeli policy of land theft and summary executions, while providing incentives and protection to settler terrorists. It has thereby generated a culture of hate, racism and violence and translated Israel’s state impunity into lawlessness and individual impunity for its own citizens. Israel’s acts of aggression and violence have resulted in the killing of 24 Palestinians and the injury of more than 1,200 Palestinians. Israel is provoking violence in Jerusalem and creating a situation of instability and crisis as a cover to exercise control over the Al-Aqsa Mosque and expropriate Al-Haram Al-Sharif, transform the character of Jerusalem, annex more Palestinian land, and escalate its illegal settlement activities. All the while, it persists in spreading a false narrative labeling Palestinians as terrorists, and blaming the victim once again in an act of grand deception. Yet another generation of Palestinian young men and women, born under occupation and enduring its ruthlessness and cruelty, has again engaged in popular resistance to send a clear message to Israel and the rest of the world that they will not forget or surrender; their spirit cannot be broken and they will continue the struggle for freedom and dignity. They are literally dying to be free.